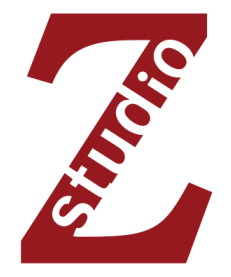 Jazz at Studio Z is proud to present Phillip Greenlief in concert at Studio Z with Nathan Hanson, Chris Bates and Davu Seru. Concert at 7 p.m., preceded by 6 p.m. masterclass on "Composition Strategies for Improvisers". Since his emergence on the west coast in the late 1970s, saxophonist/composer Phillip Greenlief has achieved international critical acclaim for his recordings and performances with musicians and composers in the post-jazz continuum as well as new music innovators and virtuosic improvisers. He has performed and recorded with Fred Frith, Meredith Monk and They Might Be Giants; albums include THAT OVERT DESIRE OF OBJECT with Joelle Leandre, and ALL AT ONCE with FPR (Frank Gratkowski, Jon Raskin, Phillip Greenlief). Recent residencies have included Headlands Center for the Arts and from 2012 to 2014 he was the curator at Berkeley Arts, a home for progressive music. He is the recipient of a San Francisco Bay Guardian Goldie Award.